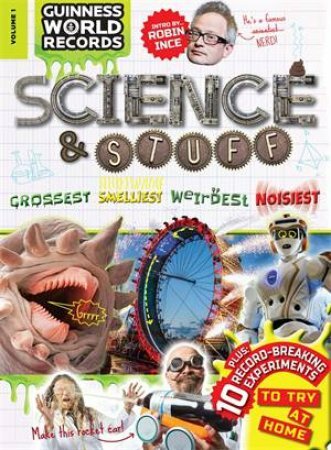 Guinness World Records: Science & Stuff is a whirlwind tour through the astounding, record-breaking world (and universe) around us. Perfect for curious minds, this book is a great addition to any 7-13 year old's library. But it's not all facts and stats. The feature chapter just for Makers, introduced by our very own mad professor Burnaby Q. Orbax, challenges you to attempt record-breaking science experiments at home, from the fastest Mentos & Soda rocket car to the most slime thrown and caught in a minute! Join us as we rise from the deepest depths of the ocean, where weird glowing fish hunt in the darkness, to the mountaintop observatories where scientists unravel the secrets of the universe.